The former IFA president said it was his choice to resign last week. 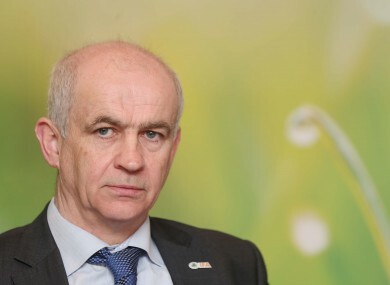 THE OUTGOING PRESIDENT of the Irish Farmers’ Association (IFA) has criticised the “outlandish” severance package received by the organisation’s former general secretary Pat Smith. Eddie Downey stepped down from his position last week after it emerged that he had approved the €2 million payment awarded to Smith – on top of his €2.7 million pension pot. Downey told RTÉ’s Morning Ireland that he had received advice from “more than one person” and had not acted on his own in reaching the deal. He also criticised the IFA for “[letting him] down” during a crisis meeting of farmers last Wednesday night. “There was a misrepresentation of facts,” he said. There was a suggestion that I acted completely on my own. I did not. I had legal advice, financial advice. Downey insisted that it was his own decision to resign, and that he had “no desire to see any more money” being awarded to Smith. “I would be delighted if that deal could be overturned,” he added. Downey also spoke about the impact recent events have had on his loved ones. “After two years in the job, my family told me I had aged about 10 years. The reality is the last 10 months … have been very fractious and difficult,” he said. It’s very sad for me and my family – my wife, my children and my 91-year-old mother – to go through this process. It’s a difficult stage … But I know I’ve done nothing wrong here and I’ve acted in the best interests of the organisation. The IFA said last week that it intends to take legal action against the package agreed between Downey and Smith. Senior IFA officials claimed the sum had not been approved in advance. Email “Eddie Downey: 'It's very sad for my wife, children and 91-year-old mother'”. Feedback on “Eddie Downey: 'It's very sad for my wife, children and 91-year-old mother'”.